Swerving between elastic funk and playful sound design, New York producer Tristan Arp shares his debut collection of biomorphic techno with Pipeline. Pointillist micro-percussion and asymmetrical rhythms propel the taunting, coy bangers “Pipeline” and “Tauri,” while the long-form epic “Web” challenges dance-floor norms with off-kilter silence and warped acoustic instrumentation. Shining with the sprightly whimsy of science fiction, the EP emphasizes spontaneity and intuition, each track an improvisational one-take performance. 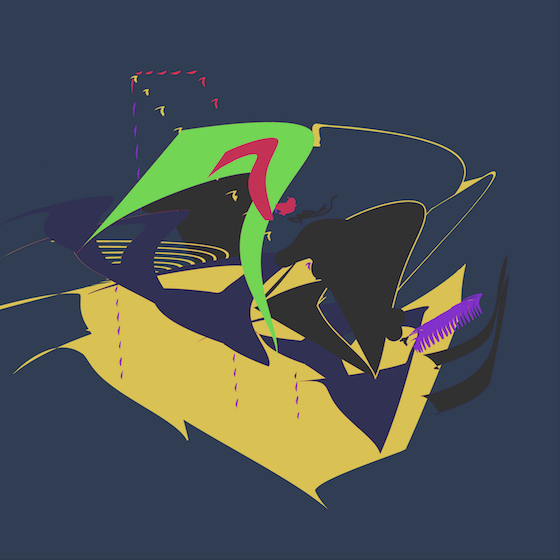 The multimedia artist’s cover design reflects his record’s shapeshifting forms. Pipeline is the first in a series of dance EPs to be shared by Tristan Arp throughout the year and will be available in digital format on May 18th, 2018 via Human Pitch.